When possible, all confirmed orders will be shipped within 24 to 48 hours of your purchase. When you place your order before 12 pm Eastern Time, it will be processed and confirmed on the same day. Orders placed after 12 pm Eastern Time are likely to be processed and confirmed on the next business day as it may not be possible to process such orders on the same day. Monday to Friday (five days a week) shall be the official business days for shipping, repair, and returns of any product that you purchase on this website. Holidays, Saturdays and Sundays are not included in the official working days. You should acknowledge that we observe all federal and traditional holidays. Orders placed on Saturday, Sunday or holidays will be processed and confirmed on Monday or the next business day. When possible, such orders will be shipped on the same day. When you place your order, its acknowledgment and confirmation of product availability will be sent to your registered email address. An email confirmation of an order does not constitute our acceptance of your order. Once your order is processed/confirmed you will receive confirmation, but your order shall be deemed as accepted only when it has shipped, and when that happens, we will send you an email. You may be required to bear additional shipping charges for custom orders, large, oversized or multi-boxed items or international shipments. In cases where we find out that you would have to incur any shipping/handling charges in addition to those you accepted while placing your order, we will request your approval for additional charges. No shipment will occur unless you approve the additional shipping charges, and we shall not be held liable for any delays in your shipment. If you refuse to bear the additional shipping costs, you will be entitled to change or cancel your order, and we retain the right to cancel the order and refund you. Unless otherwise mentioned in your confirmation email, all orders shall be shipped as standard USPS consignments. No shipment will take place from credit cards/payment flagged by the credit card company, and the purchase will proceed once there is no longer a questionable status of the order. Three to seven business days (excluding the weekends and holidays) is an expected delivery time frame for USA bound USPS Priority Mail packages. Custom shipping options, when offered, carry delivery time frames in agreement that particular service by that carrier. USPS priority mail with delivery confirmation shall be used as the typical shipping method for orders unless you opt for custom shipping / available carriers. Please acknowledge that we will not be responsible for consignments to areas where tracking or delivery confirmation is not possible. We reserve a right to cancel such orders /shipments at our sole discretion. Such cancellations rarely take place. Packages damaged during shipment. Upon receiving your package from the carrier and you find that the exterior packaging is severely damaged, if you are also relatively certain the contents have also been damaged, you may refuse to accept the damaged package (let the carrier have it back unopened!). Then promptly inform us. Also, be aware that in cases of opened and damaged goods that you may be required to fill out a damage package form. You may also Email Us now. Subject to applicable laws, you will be allowed to cancel your order before the merchant account processes it. No penalty is payable for such cancellations. Once the merchant account gateway has drawn credit card charges, and the order has shipped, the order shall be final. Unless the product carries a 30-day money back guarantee, Wishgranted will accept all returns, refunds or exchanges at its sole discretion and on the merits of each case. For more information, please refer Returns, Repairs, and Exchanges section. A 30-day money back guarantee shall apply to certain products that explicitly mention this money back guarantee at the time of sale/purchase. You should acknowledge that there is no unconditional money back guarantee for all the goods we sell. If an item doesn’t expressly state a money back guarantee, its sale shall be final after processing and shipment. Colloid Master 30-Day Money Back Guarantee: If your Colloid Master product carries this guarantee and you are not satisfied for any reason, you shall be entitled to return the Colloid Master and take a full refund of the purchase price. However, you have to bear its shipping cost. Please email us or call our support executives for your RMA number. Unless otherwise mentioned in the confirmation email, no returns will be accepted without prior authorization from Wishgranted. Please make sure to email us or call our support executives before returning your product. Once we receive your email/call, we will help you to complete an authorized money-back return. Unauthorized returns will not be accepted. 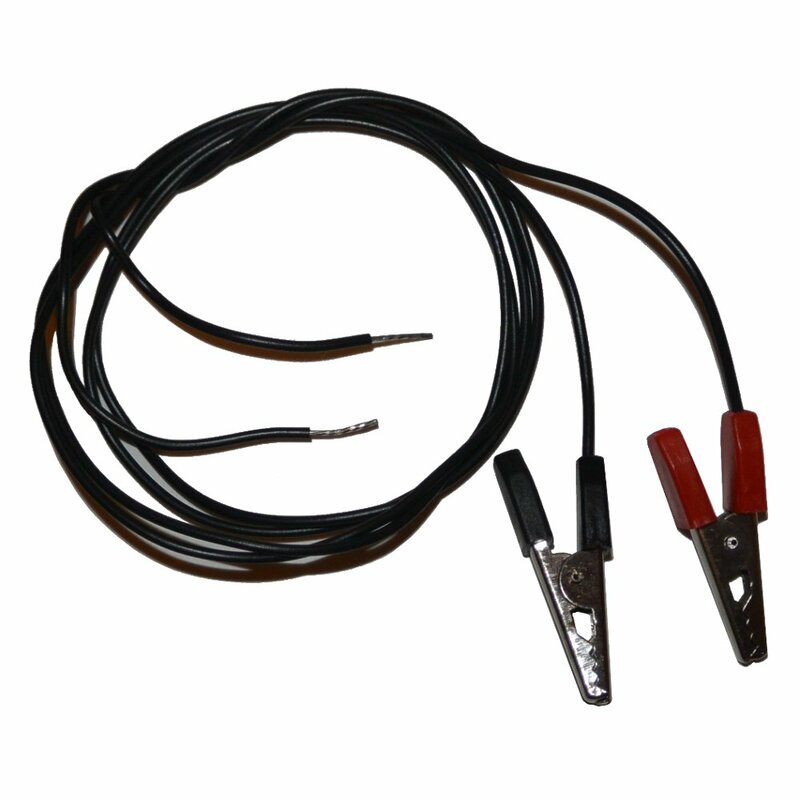 Were applicable, the product must be new, unused and returned in original packaging. When returned in used/damaged condition (not as received), certain fees may be charged for such usage/damage. Our policy allows the right to charge a 10 percent restocking fee regarding returns. However, although Wishgranted usually waives this restocking fee, it does so only at its sole discretion and reserves the right to apply it as well. You have to bear the shipping and handling charges. These charges are not refundable. Product/Item must be returned with adequate packaging to protect it during shipping! We prefer a copy your invoice or packing slip along with a written note describing the situation and or RMA. Our RMA must approve refund/exchanges of defective products and possibly of the customer service inspection team upon receipt of returned packages before we remit a refund/exchange. Wishgranted is not responsible for repair or replacement of defective items except its line of products and when expressly stated as such for example concerning the Colloid Master. For other products/items, you should directly send the item to the service center of the respective manufacturer. Colloid Master Repairs: please contact our technical support team for repairs of your Colloid Master product/item. Only pre-authorized returns shall be accepted. Unless otherwise mentioned in the confirmation email, no returns shall be accepted without authorization from Wishgranted. Please make sure to email us or call our support executives before returning your product. Once we receive your email/call, we will help you to complete an authorized money-back return. Unauthorized returns will not be accepted. Wishgranted will never ask for your sensitive information unless it’s required to deliver your requested/ordered products, information or services. Wishgranted will never share/disclose your confidential information except what is necessary to provide your requested/ordered products, comply with the relevant laws and legal requirements and protect our business/legal rights. Wishgranted will never hold your sensitive information on its servers except what is required to facilitate on-going operation or purchase of its products or services. We don’t store the details of your payment instrument. Your credit card information is passed to the payment processor/bank gateway directly, accessed through a token system. Wishgranted associates, subsidiaries, licensors, employees employ PCI minded practices daily as well as meeting annual requirements. We primarily accept credit card purchases using third party service providers who are compliant with the PCI Standards of the Credit Card Industry. Accessing wishgranted.com, or purchasing any health and personal care related product or service being made available on this website shall be deemed that you have attained legal maturity and qualified to make a purchase from the commercial websites. You should acknowledge that Wishgranted may collaborate with third party payment processors to provide hassle-free payment processing in a secure environment. Please note that your credit card/ payment statement, invoices and email confirmations for orders placed at wishgranted.com may also indicate the name Wishgranted because wishgranted.com is wholly owned and operated by Wishgranted. Wishgranted reserves a right to refuse any sale or placed orders at its sole discretion. Nothing in your agreement with Wishgranted shall be deemed as any kinds of formal business association with Wishgranted or grant you any kinds of territory rights to sell its products, irrespective of your affiliation status or bulk purchase. Bulk purchases and affiliate program purchases will provide certain benefits regarding reduced costs, but we don’t grant any distribution rights or enter a dealership arrangement with you or the affiliates. You confirm that you are of legal age in your jurisdiction. NOTHING ON THIS WEBSITE REPRESENTS “MAKING CLAIMS” OF ANY KIND, REGARDING USES SUCH AS; MEDICAL; PROFESSIONAL-ADVICE; THERAPEUTIC; ANTI-MICROBIAL; PESTICIDE; DIETARY; OR DIAGNOSIS. WE DON’T AUTHORIZE ANYONE TO MAKE SUCH CLAIMS ABOUT OUR INFORMATION OR PRODUCTS UNDER ANY CIRCUMSTANCE, IRRESPECTIVE OF THEIR AFFILIATION STATUS OR BUSINESS RELATIONSHIP WITH US. You have no rights to refuse shipments that are not damaged, irrespective of the fact that refused Colloid Master product carries an unconditional money back guarantee. Once your order has been processed/shipped, any refusal to accept your delivery from the carrier will make you liable for a 20 percent restocking fee in addition to the shipping charges. If your location is outside the USA or Canada, shipping to your location may not be available in your shopping cart. We don’t allow sales/shipping to many international locations due to shipping issues such as; US government restrictions, exorbitant costs, the lack of availability of shipping insurance other complications. 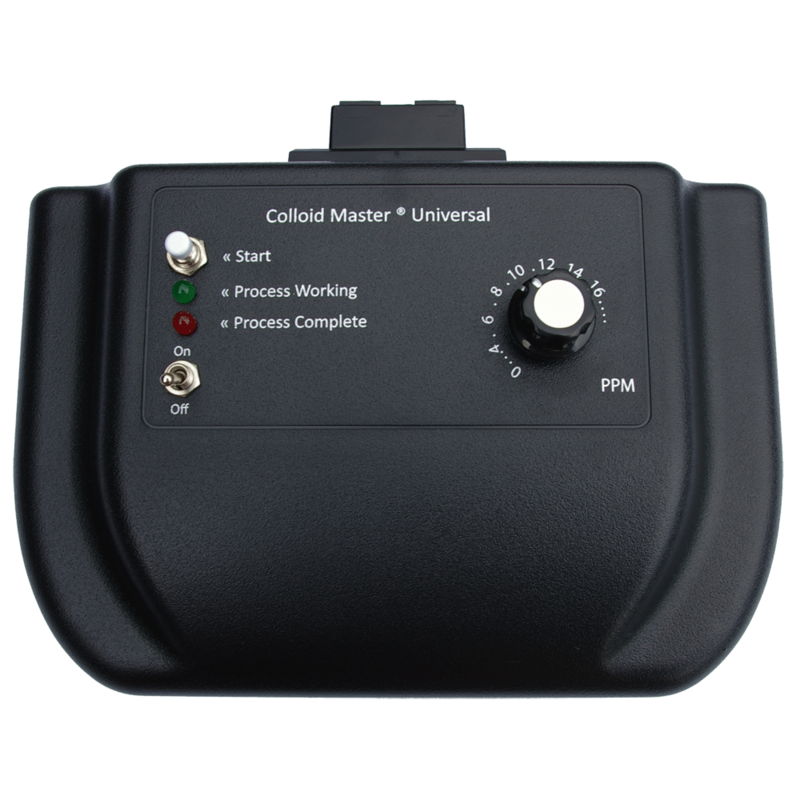 Also, products such as the Colloid Master may require customization requirements such as (power supplies) and other complexities. Those of you who are in international locations or areas we do not usually ship to may please write to us, we will determine availability on an individual basis as to whether we can or will ship to your location. If your location is outside of the U.S.A., and delivery confirmation/insurance is available in your area, region or country, you must complete the required measures before placing your order as mentioned in the product description area or relevant sections of our web store. These steps will allow us to contact/notify you regarding your options in case shipping complications arise that cause your order to be declined and refunded. You should acknowledge that international shipping is subject to the customs fees and import duties of your destination country. It shall be your/recipient’s responsibility to pay for these customs fees and import duties. Purchases by residents of locations outside the USA or Canada may void the manufacturer’s warranty. Also, service options may not be available at your shipping location; product manuals, instructions and safety warnings may not be available in your/destination country’s language. 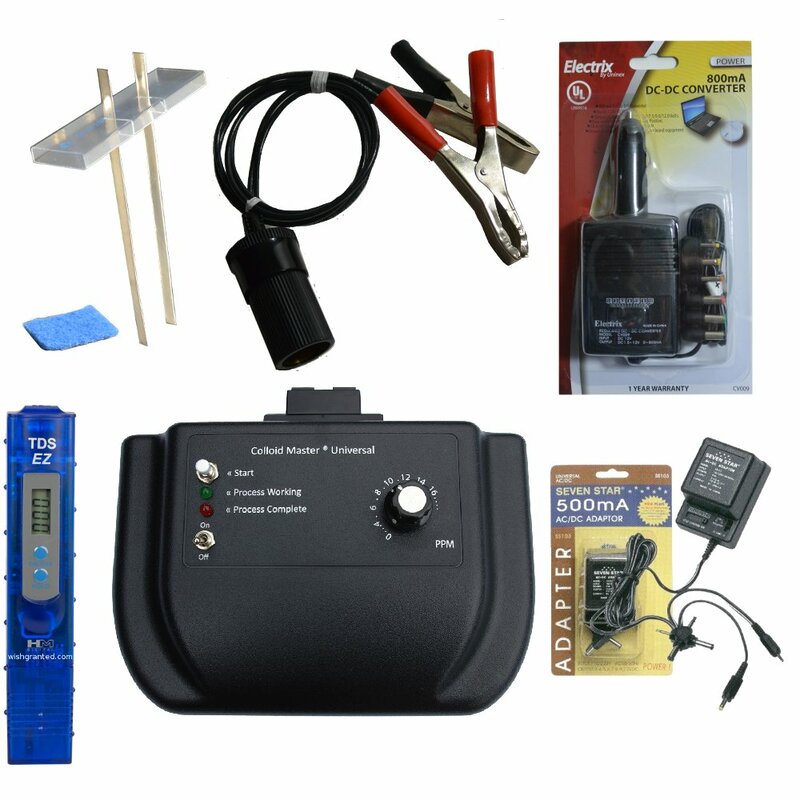 The products and accompanying gadgets/materials may not comply with the package’s destination country’s specifications, standards, and labeling requirements; and the product as sold in it’s usual unaltered manner may be unsuitable regarding destination country voltage and other electrical standards. You / recipients may not be able to use the product without using an appropriate adapter/converter. It is your personal legal responsibility to ensure that you are legally allowed to export/import the product to the destination country. Ordering any product from wishgranted.com/Wishgranted shall be deemed that the recipient is the importer of record, and responsible for complying with all laws and regulations of his or her country. Your privacy on wishgranted.com is very important to us, and we understand your concerns about security and confidentiality of your personal information. If you are located outside the USA, you should realize that cross-border shipments may inspect packages and be opened by customs authorities. We may also be required to share some information with our international carriers (order details, shipment, and product information), who in turn provide this information to the customs authorities while facilitating customs clearance or complying with any local laws. You may not be supposed to disclose the price of your Gift Packages, but the price is stated on the international consignments even when marked as a gift. Documents of the contents of international packages in customs form package value declaration. Customs authorities also require that the value of gift items in declared on the exterior package documents. You should acknowledge that additional shipping and handling charges may apply, particularly if the shipped product is unusually bigger, heavier or bulky in size. It shall be your responsibility to ensure that any product purchased is legal to import or use in the designated country. Ordering any product from wishgranted.com/Wishgranted shall be deemed that the recipient is the importer of record, and responsible for complying with all laws and regulations of his or her country. You should acknowledge that shipping outside the Continental US may be subject to customs duties, import taxes, and other fees that are levied by the destination country. You should realize that the recipient has to bear certain expenses concerning customs duties, import taxes. The authorities of your country may collect other fees beyond our knowledge or control. These charges are levied only when a shipment reaches the recipient’s country, and we may not be able to predict the applicable expenses or additional charges levied during the customs clearance. Customs duties, import taxes, and import/export policies differ across countries. If you want to get more accurate information, you have to contact your local customs office. You should acknowledge that customs clearance procedures and related requirements may cause a very significant delay in our original delivery estimates. The returns and replacement policies apply to international shipments as well. If there is a problem with the initial shipment, you shall be entitled to a replacement. However, you will be the deemed exporter for return shipment. Once we receive the returned delivery at our fulfillment centers, the title, and risk of loss will transfer to us. If you want to know more about returns and replacements of international shipment, please write to us via Customer Support. If you are a resident located in any member state of the European Union; you shall waive all your rights to acknowledgements, notices, and confirmations related to your use of this website or any products/services offered by Wishgranted to the fullest extent permitted by law, and as described under Articles 10(1), 10(2), 11(1) and 11(2) of EU Directive 2000/31/EC or as implemented in your jurisdiction.